When it comes to sending a project, regardless of grade, everything counts. 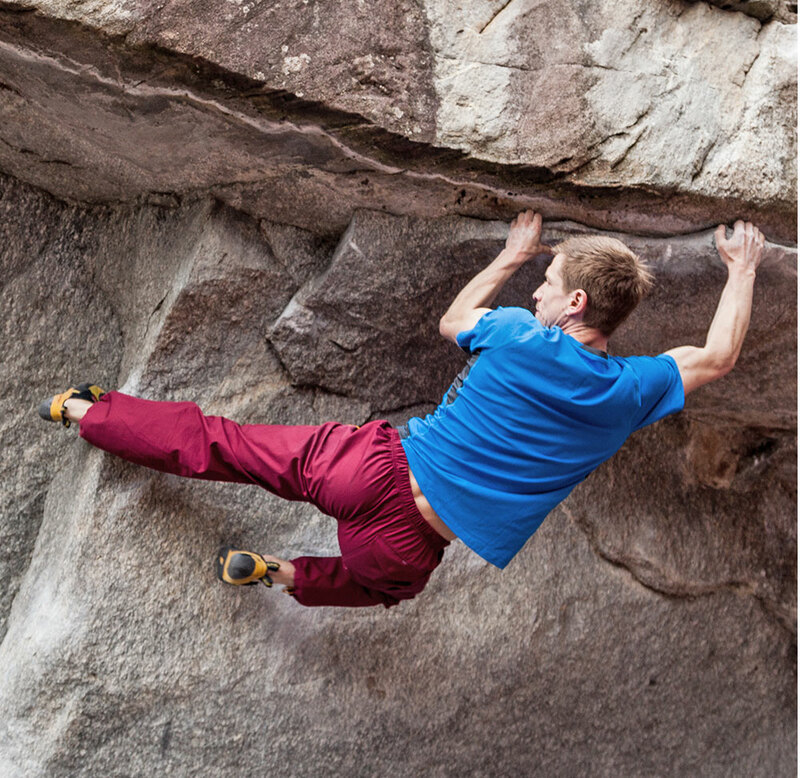 The Moon Climbing men's collection reflects our ongoing commitment to developing high-quality, robust climbing clothing that excels in both substance and style. 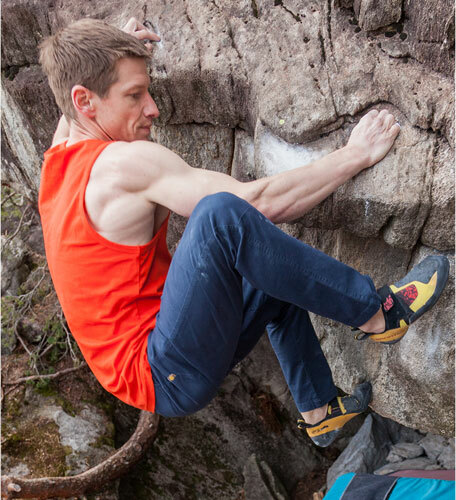 From hardwearing rock-ready trousers and shorts to classic 100% cotton graphic t-shirts, explore the full collection of Moon Climbing menswear today to find your new climbing kit favourites. The Cypher Pant has been in the Moon Climbing collection for over 15 years. Since its original inception, this bestselling style has accompanied climbers on their ascents in all corners of the globe, from the gritstone crags of the Peak District to the sandstone boulder fields of the Rocklands. Available in a trouser style and shorts, the Cypher is praised for its durability and optimum fit. 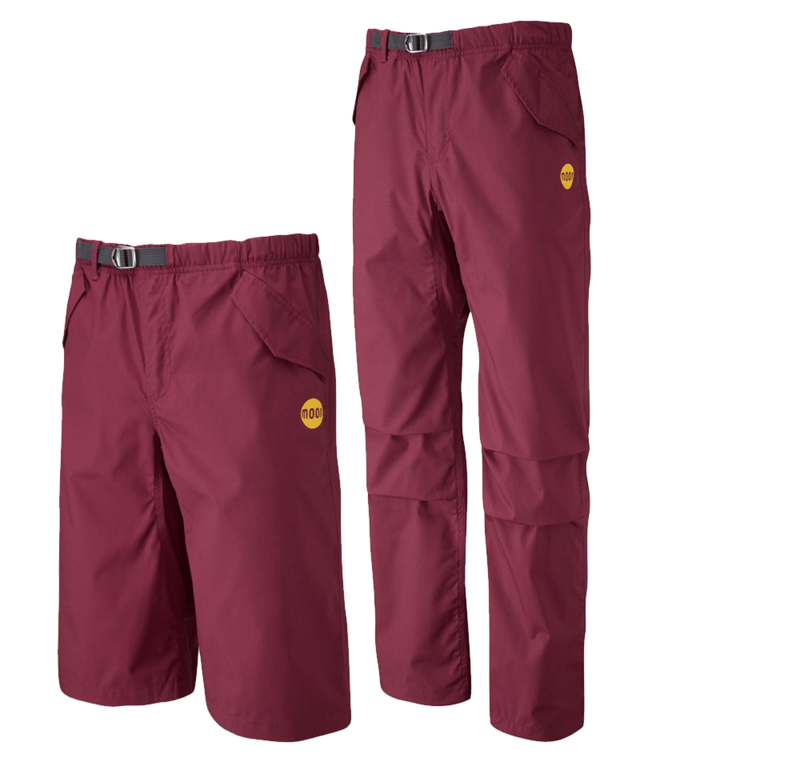 Featuring an integrated adjustable belt, adjustable ankle synch, and roomy pockets, this perennial favourite is now available in burgundy for 2019. 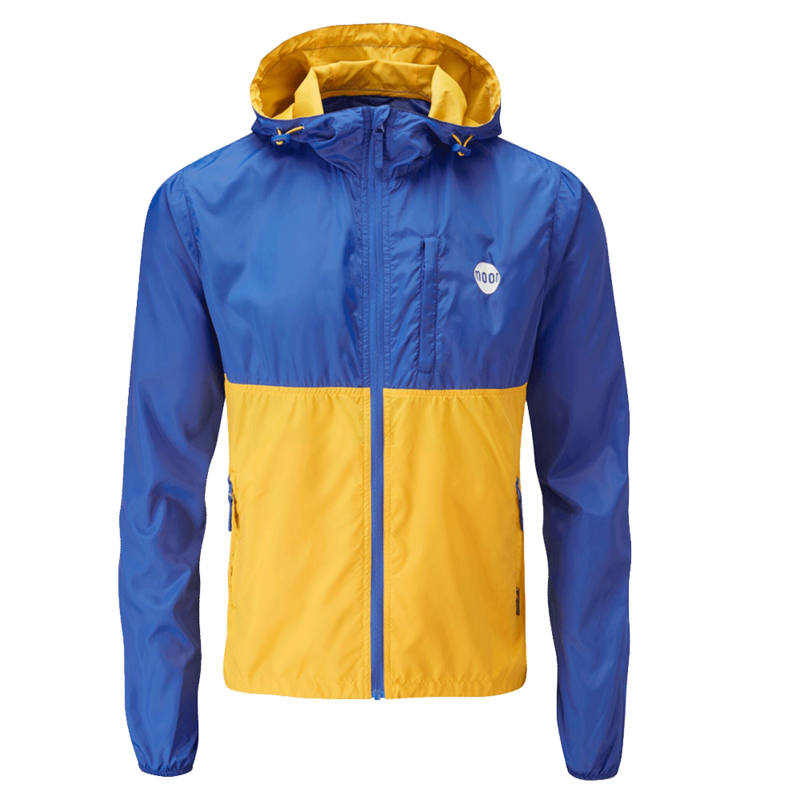 Highly wind resistant, showerproof and incredibly lightweight, the Wind Cheater Jacket is a dependable outer shell that offers protection from the wind and packs away small for easy transportation to and from the crag. It features an adjustable drawcord hood, elasticated cuffs, two zipped hand pockets and an additional zipped chest pocket which the jacket packs into when not in use. Zip the Wind Cheater over your favourite Moon hoody when the breeze picks up. 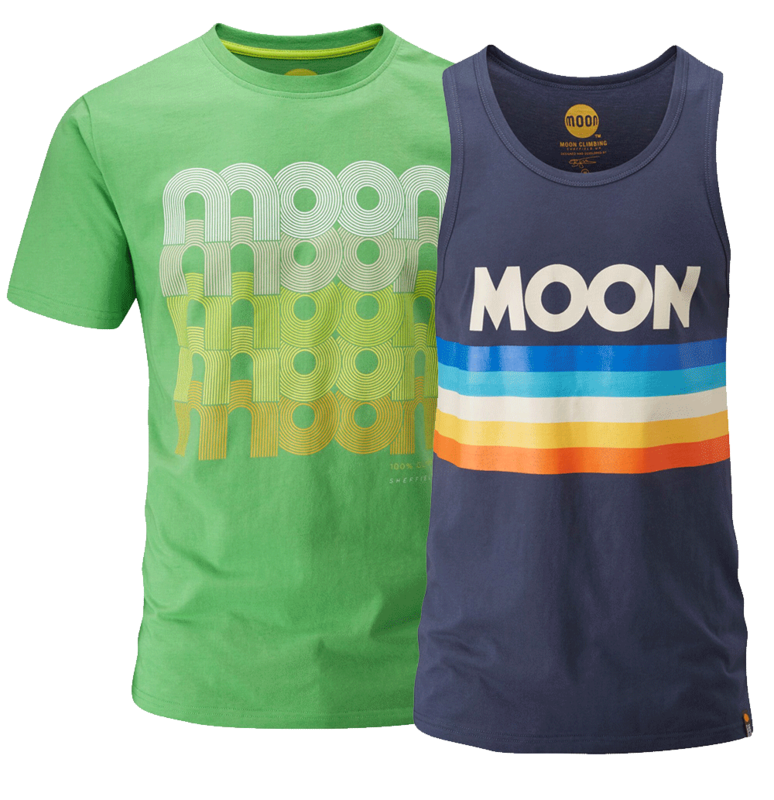 Retro inspired designs printed on 100% Organic Cotton t-shirts and vests. 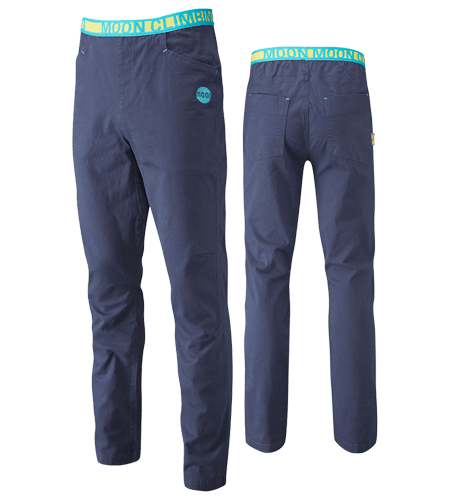 Contemporary styled with all the bells and whistles of a functional climbing trouser, this stretchy mid-weight cotton pant has become a firm favourite in the men's range.